If you have ever wondered if God could be trusted to honor his promise, just think of Christmas and the birth of Jesus. You see, Christmas is all about God keeping his word. Nine months before Jesus was born, the angel Gabriel appeared to Mary and told her she would miraculously give birth to a son. When Mary asked how this could be since she was a virgin, the angel answered, “The Holy Spirit will come upon you and the power of the Most High will overshadow you. So the holy one to be born will be called the Son of God….for nothing is impossible with God.” Nine months later, the promise was fulfilled when Jesus was born in Bethlehem. God kept His promise. Thousands of years before Mary and Joseph and the baby in Bethlehem, God made a promise that a child would be born that would crush Satan and redeem us from our sin. In Jesus, God fulfilled his promise and kept His word. 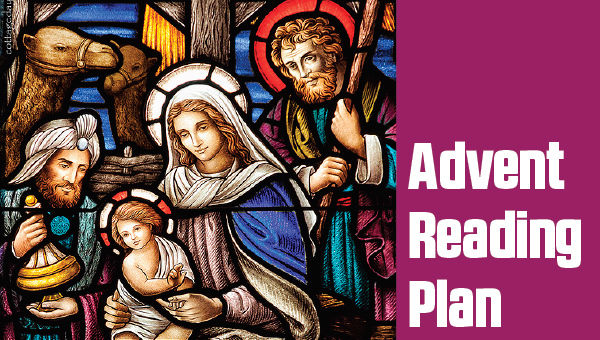 As we enter the season of Advent, remember the word is from the Latin adventus which means “coming.” God promised that Jesus would come to save us from our sins. He kept his promise. And God promised that Jesus would come a second time to take us home to be with Him. I think we can trust Him to keep His promise, don’t you? Why not take a moment and give thanks to the One who always keeps His word.